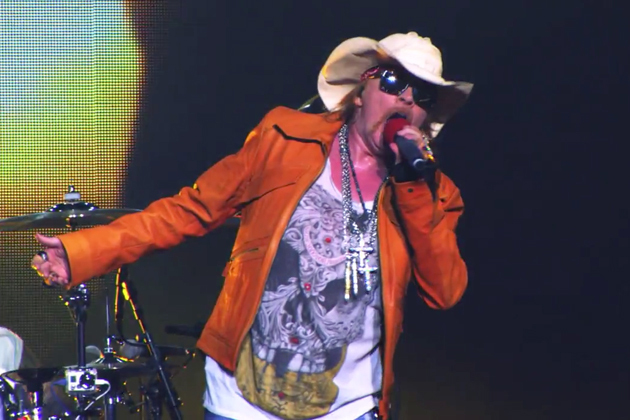 GUNS N’ ROSES REVEAL ‘APPETITE FOR DEMOCRACY 3D’ MOVIE TRAILER - Rock Fuel Media Inc. Guns N’ Roses are about to bring one of their best live experiences to the big screen, with some pretty awesome 3D effects thrown in for good measure. The band’s 2012 residency at Las Vegas’ Hard Rock Hotel & Casino was filmed and has now been turned into a movie that will get theatrical screenings this summer. With the project nearing, the group has now offered the first extended trailer for the movie.